Background: The city of Fayetteville, Arkansas and the University of Arkansas started Lewis Park as an exchange of services in 1993. The city would get to lease 27.5 acres by providing fire service. The 25 year lease was supposed to end in June of 2018. In anticipation of the university taking back the Lewis property, the city made the new Mt. Kessler Regional Park on the south side of town. What We Want: We want Lewis to stay a park. 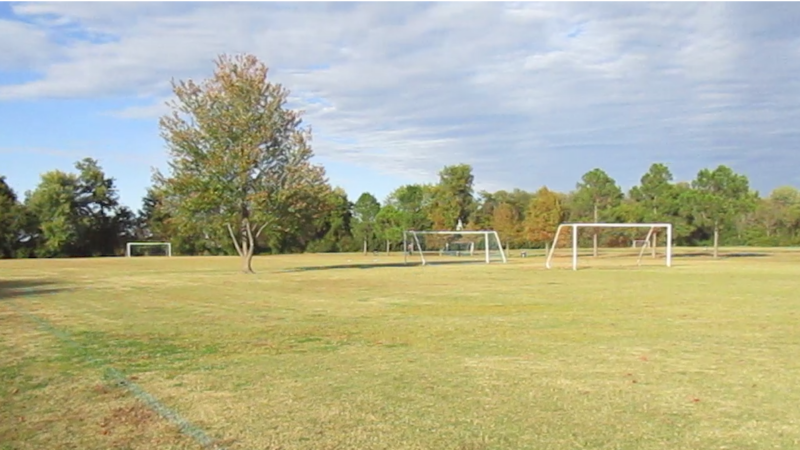 Its location near the central part of Fayetteville makes it a convenient, easy to get to, and safe place to play a wide variety of field sports. It is also one of Fayetteville’s largest parks and if lost to development would be a big blow to the community’s open space and variety of recreation. Furthermore, once Lewis is gone there won’t be any land on that side of town to replace it. Our Plan: First, we need to raise awareness that the park will shortly be for sale. This land sale has quietly flown under the radar. Second, we want to let the University of Arkansas and the city of Fayetteville know that the people that live here want to keep it a park. Finally, we want to help facilitate the university and city to come up with a solution to keep Lewis, and help keep one of the things that makes Fayetteville a great place to live, work, and play. How Can I Help: The best way right now is to let your friends, family, and neighbors know about the impending sale of the Lewis Park lands. You can also join us on our Facebook Page. Most importantly, please write to your council person and Mayor Jordan. Let them know that you want to save Lewis Park. Please join us and #SaveLewis!